Louise is one month old, so here is her birth story. Months before Louise was born, I had decided to try and have her without drugs, and had read a lot about pain free, gentle, natural births. I also knew so many women with beautiful, gentle birth stories. I was (and am!) convinced that I had PTSD from the trauma of Grey and Micah's emergency c-section and that the fear and expectation of pain and trauma from that led me to an extra long and painful birth with August. My labor with him constantly shut-down, my contractions were terrible but I made no progress, I pushed for THREE HOURS. I am sure that my own fear and expectations made my body react in negative ways when I labored with him. So I spent most of my pregnancy with Louise trying to rid myself of the fear of that happening again and telling myself that birth was natural, beautiful- a gift to women and not a punishment. So when I began having contractions on Wednesday morning, I felt very hopeful. They were uncomfortable, but not painful. They mostly made me feel like I was constipated. I wondered if they were contractions at all, or just stomach cramps - since everyone in my house had a stomach bug! The boys were feeling poorly too, so we snuggled and watched A Muppet Christmas Carol and I tried not to time my "stomach cramps," since I'd been timing contractions for weeks and getting my hopes up only to have them dashed. At about 11 am, I asked to have some private time in my room. I went into my bed and listened to Iron and Wine and practiced breathing. I started timing my contractions and was disappointed that they were still fairly irregular 5-7 minutes apart. But they were also becoming very strong. I texted Travis at work and asked him to come home. I said, "I'm probably not really in labor, but I do feel very poorly. I wish you'd come home and give me a blessing either way." He got home around 12:30 and my contractions STILL were only 5-7 minutes apart, it even seemed like they were slowing down! I was disappointed and asked him to just lie down with me for a while. He instantly fell asleep, while I dozed for an hour or so. (Meanwhile, my wonderful mother and sister Katie were taking care of the boys, so they didn't bother us.) I had stopped timing my contractions again, but when I couldn't sleep through them anymore- I began timing them. There were still some gaps of 5 or 6 minutes between contractions, but most were coming 2-3 minutes apart! Since I still wasn't in pain and they weren't consistent, I was suspicious that my labor hadn't really started. But since I was two days past Louise's due date, I decided we should head to the hospital. We checked into the hospital at about 4pm. As I signed in, the nurse asked "Would you like to be medicated or unmedicated?" I said, "I'd like to be unmedicated, but I don't have high hopes that I can do it. I'm not sure I'm in even in labor." "Is this your first baby?" he asked, "And when is your due date?" "It's my fourth baby and my due date was two days ago!" I said. Geez! My fourth baby and I don't even know what labor feels like? They led me into the "unmedicated room," I could still get drugs if I needed them, but this room was equipped with a birthing ball, rocking chair, squat bar, jacuzzi tub and more! I settled into bed while they checked me. I asked not to be told what I was dilated to- only to be told if I was making progress and if it looked like I was "really in labor." Maybe being two days overdue had made me feel that I would be pregnant forever, but I was convinced that they'd send me home or I would be at the hospital for 20 hours before I delivered- like I was with August. They checked me, registered me with the hospital, and I was visited by my doctor -who said he was going home for dinner, but wanted to be constantly updated. I needed to be given an antibiotic because I'd tested positive for Group B Strep, so after three nurses failed to get an IV into me- they called down an anesthesiologist to prick my tiny veins. I was still feeling fairly good, my contractions weren't that painful or close (every 4 minutes or so) and I was easily distracted by teasing the anesthesiologist and talking to my nurse about her twin-grandbabies. I needed to be monitored constantly, because I was having a VBAC, so I stayed in bed watching my contractions being printed out on a chart. Then it was quiet for about two hours. Travis and I watched X Files on the iPad until about 8pm. At that time, my contractions had become so uncomfortable that I couldn't pay attention to our show. (Although still only 3 minutes apart). I asked Travis to turn off the iPad and turn on Iron and Wine again. I practiced breathing, reminding myself not to clench up my body when contracting. I held travis' hand and while I contracted I focused all my energy on taking deep breaths and NOT squeezing his hand. I was sure that if I could avoid clenching my teeth and fists, then my body would be relaxed enough that my contractions could do their job. The nurse asked me (again) if I would like the portable monitors, so I could walk around or rock in the rocking chair. I assured her that I would be staying in bed, where I was comfortable. "Oh, by the way," she said, as she left the room, "the portable monitor is waterproof. You could get into the tub if you wanted." WAIT. STOP. I was in the tub by about 8:30, and my contractions picked up in intensity (though not frequency) immediately after I got in. The nurse kept saying, "Well, sometimes they don't NEED to be close together to still do their job. "But I was convinced that I wasn't making progress. Travis, meanwhile, was amazing. The nurse showed him how to apply counter pressure on my back while I contracted. The doctor had also made it extremely clear that if they were unable to consistently monitor the baby, I wouldn't be allowed to remain in the tub. The monitor only picked up Louise's heartbeat when I was leaning back in the tub, but that position was extremely painful when I was contracting. Travis watched me carefully and when a contraction started, he would help pull me forward on to my knees. With one arm, he applied pressure to my back and with his other arm, he held me up while I sagged against him. Then he would help lower me back into the tub. I suspect it was fairly straining to be picking up and setting down a 170 pound person every two minutes. I also had to get out of the tub five or six times to use the toilet- as my system emptied out. My awesome husband basically carried his wet, naked (pathetic) wife across the bathroom each time and rubbed my back and didn't say mean things about me. Fortunately for me, I don't think my nurse was a very good listener (to the doctor). As my contractions got more intense and very close together, I found it difficult to move backwards and forwards in between each one. She didn't insist. It was agreed that I would need to get out of the tub at 10, so they could check my progress and administer the second dose of IV. Somehow, I was still convinced that my labor wasn't progressing. I was so afraid that I would get out of the tub and the nurse would check me and tell me I was only dilated to a 5 or 6. I kept telling myself, "You just need to do this until 10. Then you'll get out of the tub, and they'll give you drugs." I had labored for so long with August- I knew I couldn't do that with Louise. I was so weak and tired from just the hour and a half of hard laboring I'd done in the tub. As 10 o'clock neared, I began to panic and cry. "I made mistake. I can't do this. Other women can have their babies like this, but I can't do it." I kept saying, "I need the drugs. When I get out, please give me the drugs. I made a mistake." At 10:05, the nurse told me it was time to move back to the bed. "I can't," I told her. "I'm too weak. My legs don't work anymore." She and Travis half-dragged me back to the bed. I curled up on my side as another contraction hit me hard. Travis was trying to towel me off, while the nurse reattached me to the non-mobile monitors. As another contraction came (they were now very close together), I found that I was pushing. Actually, I didn't even feel like I was pushing- I felt like Louise was pushing herself out! As the contraction ended, I gasped "I'm pushing!" I think there was a moment of panic while the nurse checked me! And indeed, I was ready to push! She called out into the hallway, and several other nurses and doctors rushed in. She paged my doctor- who was at home! He got to the hospital less than 8 minutes after they paged him- but he had missed it! But I didn't know what was happening at the time. After lying down in the bed, I hadn't opened my eyes a single time. I could vaguely hear the doctors trying to move, adjust, and instruct me- but I tuned everyone out. I was in my own zone and headspace. The ten minutes while I pushed were the most spiritual minutes of my life. I felt very tied into eternity. As my body strained, I literally felt that all I was was a body pushing. All I had ever been, all I would ever do was push. I had been pushing forever, and I would continue to push forever. I needed someone to say to me, "It's almost over, she's almost here," because I couldn't see the end. I knew I would push for the rest of eternity, because pushing was the only thing that existed. And yet, it also didn't feel like pushing. It felt like pulling. I have a very distinct memory and impression of grasping someone and pulling them through. I believe that spiritually I was pulling Louise through the veil. But first, I gave up. There were only two moments in those ten minutes when the words of the people in the room got through my haze. The first time was when someone said, "Her head is halfway out! Just a few more good pushes!" Then an instant or eternity later (or perhaps a few minutes? ), I heard the doctor say "The baby's heart rate is dropping." And in my mind, I very clearly heard the spirit say, "It is better for us to pass through sorrow," and I knew that this was the moment of sorrow, and in a minute- I would have my baby in my arms and it would be worth it. I regrasped Louise, and I yanked that girl into mortality with everything I had! It really didn't feel like I was pushing her out of my body, it felt like I was pulling her through deep water, up into my arms. My doctor rushed into the room, just as they set Louise on my chest. I opened my eyes for the first time in 15 minutes and was surprised to see a room full of people. Louise stayed fairly blue as her lungs were full of amniotic fluid and I was hemorrhaging blood. So I only held my gigantic baby for a few short moments before they rushed her away to towel her off and pump out her lungs a little. In the meantime, my doctor had arrived and he made me deliver my placenta and started stitching me up where I had torn. After a minute or two, Louise was brought back to me. She instantly lifted her big head up and looked around. The nurses kept saying, "We really need to hear her give one big cry!" But Lu was very calm and didn't give them the satisfaction. After a little while, she latched right on and began nursing. She was born at 10:20. Only about 6 hours after I got to the hospital, after an hour and a half of hard labor and 15 minutes of pushing. She was 9 pounds, 1 ounce, 21.5 inches long. 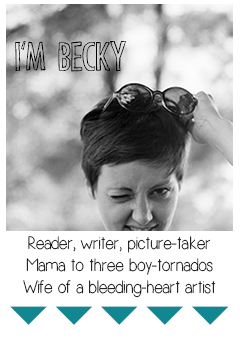 I loved reading your story, Becky! I, too, recently had my fourth baby (but first unmedicated birth.) And he was the exact same weight - 9 lbs 1 oz. Congratulations on your beautiful baby girl! Just read this and your last post as well. Beautiful explanation of Eve and her decision to choose mortality. 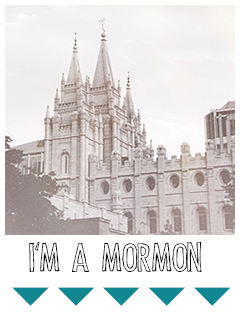 You have a wonderful grasp of the gospel and the ability to understand and apply it to life. I'm so happy Louise is here and all is well. I love you and your darling family and glad you and Travis found each other.